When wanting to install the luxury of a remote car starter or alarm system into your vehicle our DIY vehicle specific systems will guide you step-by-step to getting the job done faster and easier! No additional parts, information, downloads or firmware updates required, guaranteed! 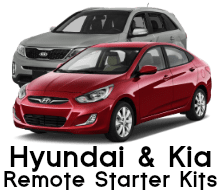 All our DIY remote starter and alarm kits are complete vehicle specific systems that arrive at your door with all the parts and information you will need to install the system into your specific vehicle. 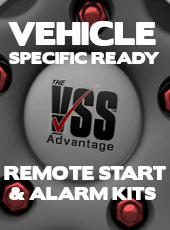 Designed and assembled by experienced technicians specifically with the car-savvy novice installer in mind, every VSS kit is meticulously set-up to where 50% of the DIY prep work is already done for you including a step-by-step system-to-vehicle specific installation guide written in clear and concise terms. And if you have any questions before, during or after the installation, we have some of the best remote starter and alarm technicians in the industry available by phone, email, TxT and through our support forum 7 days a week. Have the VSS Advantage on your next install today! So whether you’re the car-savvy DIY type looking to install a remote car starter or alarm system or just looking to replace a lost or worn out remote, you have come to the right place, we have full time tech's standing by to provide you with top-notch customer support. All our replacement remote transmitters are brand new, provided directly from the manufacturer. Repair or replacement of any remote found to fail from manufacturer quality under normal every day use for a period of one year from date-of-delivery. 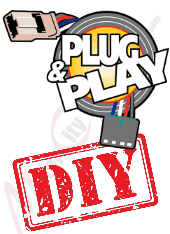 All replacement remotes come with our QwikSync™ Step-by-Step DIY (Do-It-Yourself) programming instructions that will have you programming your remote yourself within 3 minutes! All replacement remotes come pre-loaded with fresh batteries, ready to program. 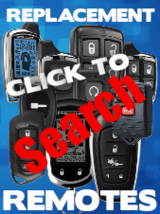 Have access to some of the most qualified car alarms and remote starter technicians in the industry. Each member of our technical support staff has a minimum of 10 years of hands-on experience installing the brand of alarms, keyless entry and remote car starter systems your purchasing a remote for. And with one of the largest support networks in the industry, our technicians can be contacted via phone, email, through our support forum and even by txt 7 days a week. 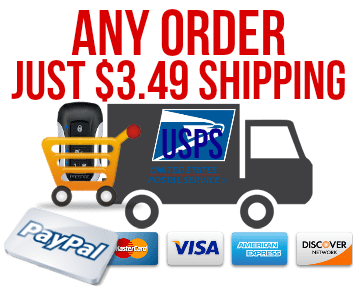 As long as the product is in the same condition as received any item can be exchanged or returned for a full refund of the purchase price within 30 days from date-of-delivery. No need to give up one of your vehicles keys (or purchase a 3rd key) in order to install a remote car starter in your vehicle. The NKR bypass kit included with a VSS system only requires your vehicle's keys for programming, not operation, meaning you don't have to stick one of your keys in a box, mount it under the dash and then wrap an antenna loop around your ignition cylinder. No matter what type of power door lock circuit your vehicle is equipped with the system will include the needed component. Kit includes any needed relays w/harness (for example, for power trunk activation, 3rd Accessory etc.) and/or diodes, resistors, voltage inverters, etc. 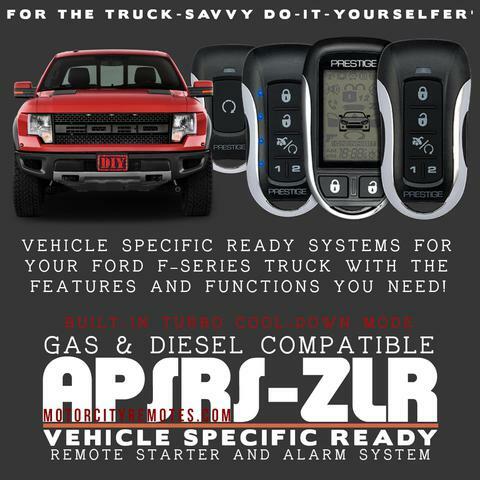 needed for your specific vehicle and system. You will be asked to indicate the year, make and model of vehicle the system will be installed into during ordering. If in the rare event that one of our technicians finds that the system is not compatible to your specific vehicle, we will immediately contact you, void the order and promptly return your payment. 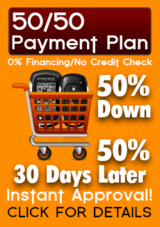 We have the best warranty coverage ever! In the rare event that you have a problem with your system within 3 years, just contact our technical support dept. and after they determine the problem, they will email you a return shipping label for the defective part and ship you the repaired or replacement part within 24-48 hours of receiving the defective part at no cost to you! All our car alarms & remote car starter systems have been road tested to provide the best protection and features at an affordable price. Each model has been thoroughly evaluated for performance, reliability, design and value, to insure brand integrity. We have literally installed and sold 1000's of our systems over the years and use them daily in our own personal vehicle's. OEM Grade components, QS-9000 Certified Manufacturers. Sincere shout out to Derek & Bob! A few weeks ago you guys helped me get an old code alarm system going that was in a used Ford Focus I bought for my Daughter that was going away to school. I called around and no one was familiar with older systems and just wanted me to buy a new system for $400.00 bucks. I spoke to Bob and he set me up with a new remote with instructions where I could program the remote myself. I got the remote programmed but it would only lock and unlock the doors and not remote start so I called in and Bob had me talk to Derek, and he walked me through some "tweaks and settings" (thats what he called it) that I had no idea what I was doing but within 15 minutes her car was remote starting. The remote cost me $45.00, the service they provided me was worth 3 times as much, now I know why this company is so busy! Thank you guys! "I purchased a new remote button for my Lincoln MKX and it came right away in the mail with the programming instructions attached to it. In just a very few minutes I had it programmed and working perfectly from inside my home to my car in my unattached garage. How awesome! Last time I bought the button on an auction site used, and paid a shop $75.00 to program my button. They stated it took 45 mins to do and that they had to get under the hood and.....yada yada yada and already I had to buy a new button not hardly a year later. I HAD A FANTASTIC EXPERIENCE WITH THIS COMPANY AND I WILL RECOMMEND THEM TO ANYONE AND EVERYONE! Posted by Jeannette R.